Kadaba, Oct 22, 2018: A list of 258 most wanted persons released by the National Investigation Agencey also has the name of Jayaprakash alias Anna (47) from Kattatadka in Noojibaltila village. 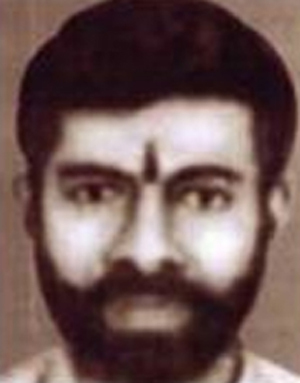 Jayaprakash is reportedly involved in the Malegaon blast case, Govinda Pansare murder case among others and is presently absconding. An electrician by profession he is the son of Somarajan and was initially working as a driver for Sanatana Samstha office in Mulki. His wife hails from Kakkinje Thotattady and the couple has a child. His family is reportedly unaware of his whereabouts. Here it is worth mentioning that NIA officials had come to Kadaba way back in September 2013 to enquire about him and had later pasted a poster of his picture on the wall of Revenue Department office.